The minister of Sports and Youth Development, Solomon Dalung has again threatened officials of the Nigeria Football Federation NFF to retire world cup money or risk going to jail over the sum of N1.6 billion allegedly released to Amaju Pinnick to cover its expenditure up to the quarterfinals of the Russia 2018 World Cup was spent. long after Russia 2018 World Cup ended in July has raised questions about the credibility of NFF financial spending. 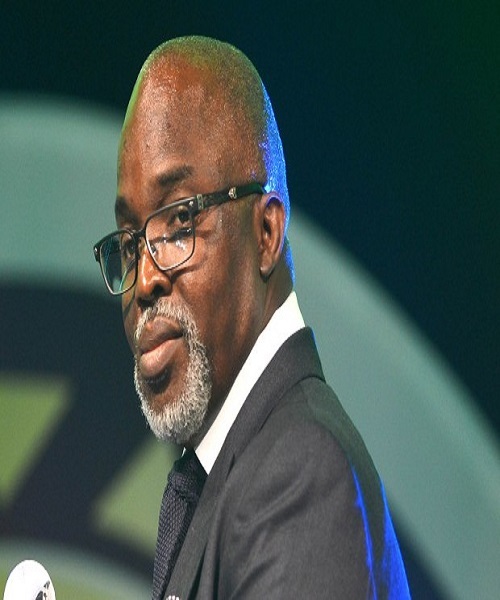 The Super Eagles crashed out in the group stage, following a 2-1 defeat to Argentina.With the NFF said to owe its workers five months salaries, the sports minister is insisting that government would not release more funds to the Amaju Pinnick-led NFF until it duly accounts for the N1.6 billion granted them for the 2018 World Cup. The report quoted the NFF Secretary General Dr. Mohammed Sanusi, confirming that they were yet to communicate to the sports ministry on how the World Cup cash was spent. Sports247.com further stated that the NFF, tried to out smart the sports minister,by putting up a two-page advert in a national newspaper to announce its audited accounts for the outgoing year. The action which did not go well with top officials of the Sports Ministry. The Guardian newspaper reported that NFF was said to have used the outstanding funds from the Russia 2018 World Cup to finance Nigeria’s participation at the recent FIFA U-20 Women’s World Cup in France, as well as Golden Eaglets campaign at the zonal qualifiers in Niger for the 2019 U-17 AFCON without seeking clearance from the sports ministry.